The next wave of social cognition re­search after attribution theory involved person perception. Psychologists found evidence for a large amount of infor­mation process­ing in a small amount of time, when we first see a person. The first glimmerings of this ultra-fast processing of social information came from Robert Zajonc ("rhymes with science") a very creative social psychol­ogist at the University of Michigan. His student, John Bargh, specialized in studying first impressions that could be formed in a split second. Zajonc published an article in 1980 titled "Feeling and thinking: Preferences need no inferences." He reported experiments showing that people were influenced by stimuli presented so briefly they could not consciously perceive them. Given a choice later, subjects preferred stimuli exposed to them unconsciously, compared to others they had not seen. This was the case even though they could not recognize the favored stimuli as having been shown to them earlier in the experiment. That was a strange finding, and it be­came known as the "exposure only" effect. Merely being exposed to a stimulus, subliminally, seemed to give people a preference for it. Zajonc used a technique called mask­ing that allowed a stimulus to be pre­sented very briefly without an after­image. Normally any visual stimulus leaves an afterimage lasting several seconds, so it would be impossible to make a visual stimulus disappear after a tenth of a second. The afterimage would still persist. To prevent this, Zajonc followed the first split-second stimulus with another masking stimulus to cover up the first and eliminate any afterimage. That is why people could not consciously per­ceive the first image (and why it was surprising they were nevertheless influenced by it). Zajonc used meaningless stimuli (octagons) yet he demonstrated that an emotional reac­tion (preference) could be established by such a brief and unconscious exposure. This led Zajonc to propose a theory called emotions first, still very interesting to researchers nearly 40 years later. How did Zajonc come up with the "emotions first" theory? After that breakthrough, Zajonc went on to other topics. Winkielman (2010) writes that "Bob [Zajonc] took a break from unconscious emotions and returned to the topics he started to explore in his dissertation— mental representations of people. While doing so, he helped create a new field that we now refer to as Social Cognition." One of the students working with Zajonc was John Bargh. He combined the two topics: fast emotional processing, and mental representations of people. In a 1994 invited address to the American Psychological Association, Barge summarized a dozen years of his research. "Much is understood about other people in a matter of milliseconds" ("Invited Addresses", 1994). Basic positive or negative emotion­al responses are particularly quick. They are part of what Kahneman (2011) called the fast processing system in cognition, specialized for immediate reaction. According to Bargh, "We're finding that everything is evaluated as good or bad within a quarter of a second of seeing it." What sorts of evaluations are especially quick? A quarter second is 250 ms, and some evaluations occur even more quickly. According to Willis and Todorov (2006), 100 ms (a tenth of a second) was enough for people to judge attractiveness, like­ability, trust­worthiness, competence, or aggressive­ness of a face. As exposure time in­creased to 500 ms (half a second) confidence in judgments increased, but the judgments stayed the same. Most studies of snap judgments use pictures of people facing a camera. To explore more naturalistic stimuli, Vernon, Sutherland, Young, and Hartley (2014) analyzed a sample of 1,000 "ambient" images. These were images of faces taken from backgrounds, therefore not posed for a picture. The researchers trained an artificial neural network to detect three traits of faces found important for first impres­sions. The traits were: (1) approach­ability (trustworthiness), (2) youthfulness or attractiveness, and (3) dominance. The neural network quickly learned to duplicate human judgments. It used 65 attributes consisting of combinations of features (e.g. openness of the mouth, curvature of the lower lip). How did researchers use AI to investigate rapid first impressions? The researchers then ran the process backwards, using key attributes identi­fied by the neural network to generate cartoon faces. Humans rated them as more or less trustworthy, attractive, or dominating, as predicted. Evidently some first impressions are based on objec­tively specifiable features, work with natural stimuli, and are extremely fast. All of this suggests a wired-in or instinctive process. One twentieth of a second (50 milli­seconds) is not enough time to think about anything consciously. Bar, Neta, and Linz (2006) found consistent first impressions after 39 msec. They pointed out, "Rapidly formed first impressions can facilitate our survival." Other attributes, like intelligence, take longer to judge. Our brains are wired to detect features most relevant to survival, notably whether a person looks welcom­ing or threatening. How does instant face analysis aid survival? Winston, Strange, O'Doherty, and Dolan (2002) found that faces judged untrust­worthy caused immediate bilateral activation of the amygdala, part of the brain's alarm system for external threats. People with damaged amygdalas, such as the patient S.M. described in Chapter 9 (Motivation) were impaired at recog­nizing "untrustworthy" faces. In a book titled The Emotional Brain (1996), Joseph LeDoux distinguished between the "high road" and the "low road" to the emotion of fear. LeDoux suggested that fear responses are highly conserved in evolution, so we share the same basic fear response tendencies as other vertebrates. What did LeDoux say about the high road and low road to fear? Cell-staining techniques show neural fibers (axons) able to conduct fright­ening sounds from the ear to the thalamus and then to auditory cortex, permitting slow, detailed analysis (the high road). But a faster circuit goes from the thalamus straight to the amygdala (the low road). Normally, when people have the luxury of a few seconds to evaluate a face or a sound, snap judg­ments come from two sources. First, there is input from the fast cognitive system. Second, there is input from the cortex, modified by a lifetime of learning. For example, an Oxford English accent might give a person a cultivated air. That would not be an instinctive evaluation; it would be learned by growing up in a particular culture. How do fast and slow forms of information processing interact in face analysis? Acting together, the slow and fast cogni­tive systems give us a rich analysis of stimuli. Consider the picture shown next, from the United States Library of Congress. Watson, deBortali-Tregerthan & Frank (1984) ask, "What do this woman's appearance, facial expression, and dress tell you about her personality and her life-style?" A picture used to illustrate "snap judgments"
They might have added, "In what country does she live, and in what era? How educated is she? How wealthy is she? What does her voice sound like? Does she live by the mountains or by the sea?" And, finally, lest we forget, we should probably ask ourselves, "What do we really know about this person?" Nothing at all. Snap judgments can be completely erroneous. But usually they are not. If snap judgments are not based on threat-related facial features, they usually incorporate domain-specific know­ledge about particular cultures. The picture above is evocative for people who have seen similar images in movies and history documentaries. For somebody unfamiliar with the rele­vant stereotypes, the picture might not be so easy to interpret. Snap judgments, unless they are based on a few physical traits of faces to which we are sensitive naturally, depend upon "frequent and consistent activation." That means the patterns must be common enough in a person's environment to be experienced repeatedly. What type of experience is needed for most snap judgments? Uleman and Bargh (1989) describe stereotyping–the formation of a simplified image or type that stands for a whole category of people–as a form of cognitive economy. In other words, it saves work. Uleman and Barch made this point in a book on automaticity (titled Unintended Thought (1989). Like other automatic processes, social judgments are automatic only after repeated activation. Once automatic, they provide a basis for quick judgment without a lot of thinking. This corresponds to what journalist Walter Lippman said about stereotypes. Before Lippman, the word stereotype referred to an image that was passed forward without alteration, for example, in the print trades. Snap judgments can occur as the result of verbal descriptions, not just visual perception. In the 1940s, Solomon Asch showed that first impressions of a speaker could be influenced by which adjective was used first to describe a person. This is called a primacy effect. A primacy effect occurs when a first-occurring (or early-occurring) bit of information has a greater effect than later information. This effect is well documented with list learning. The first word in a list is more likely to be remembered than others. What is a primacy effect? Asch decided to see if the primacy effect could influence the perception of people. He gave subjects descriptions of other people that either started or ended with the word intelligent. He found that if "intelligent" came first in a list of adjectives, it had a great influ­ence on subjects' impressions of the person. If the word came last, it had little effect on impressions. How did Asch show a primacy effect in person perception? Asch (1946) also studied the effect of calling somebody "warm" or "cold." Asch gave subjects a description of an unknown person. One group saw the words, "intelligent, determined, skillful, practical, industrious, cautious, warm." The other group saw the same words, but the list ended in cold rather than warm. When the word "cold" was included, only 8% thought the person was likely to be generous. When the word "warm" was included, 91% of the subjects thought the person would be generous. They also thought the warm person would be more likely to have a good sense of humor and other positive qualities. Kelley (1950) extended Asch's finding. He gave a class of students a short description of a visiting lecturer. Half the students received a description that listed his technical qualifications then noted (at the end) that he was considered a "very warm" person. The other half received the same descrip­tion but with an ending that said he was considered a "rather cold" person. The lecturer gave the same talk to all the students. Those who had warm in their descriptions rated the lecture more favorably and were more likely to ask questions and interact with the lecturer. How did Kelley extend Asch's work on the warm/cold distinction? The students with cold in their descrip­tions rated the lecturer as aloof and unsociable. Only 32% said they wanted to ask him a question or interact with him, compared to 56% in the group that heard him described as warm. Widmeyer and Loy (1988) replicated these effects nearly 40 years later. "What is Beautiful is Good"
While verbal descriptions can influence first impressions, visual appearance dominates first impressions in humans. Dr. Ellen Berscheid, a psychology professor at the University of Minnesota, studied the effects of physical attractiveness for over 20 years. Berscheid found powerful effects from physical attractiveness in just about every conceivable type of social interaction. Beauty seems to create a halo effect. A halo effect is a positive evaluation that biases an observer to think well of everything connected with a person. What is a halo effect? For example, if students like a teacher, they sometimes check off "excellent" in response to every question on an end-of-term questionnaire, without thinking much about the specific items. If an athlete accomplishes great feats, people tend to assume the athlete is intelligent and an interesting person and probably a good judge of deodorant, too. Dion, Berscheid, and Walster (1972) summarized their findings in an article titled, "What is Beautiful is Good." Subjects were given photographs of people to be rated for attractiveness: good, bad, or neutral. Then subjects were asked to rate the people in the photographs on a variety of other dimensions. The results were clear and consistent. Physically attractive people were judged to be more intelli­gent, healthier, sociable, and morally upright, compared to unattractive people. What effects of beauty did Berscheid and colleagues discover? In one experiment, researchers present­ed participants with photographs of faces. The students were told the experiment was "a study of accuracy in person perception," testing the students' abilities to "form detailed impressions of others on the basis of a very few cues." How altruistic is this person? There were 27 different personality traits in all. The order was randomized to avoid primacy effects when all the data was combined. Students were asked to predict the likelihood of a successful marriage for the person shown in the photograph, plus the likelihood of occupational success such as holding a high status job. The results? More attractive people were rated more likely to be sensitive and bold and all other positive traits...even when the traits contradicted each other (like sensitive and bold). Physi­cally attractive people were judged more likely to have good marriages and hold good jobs. The halo effect extend­ed to every sort of judgment about them. Why was it strange that beautiful people were rated as both more sensitive and bold? Landy and Sigall (1974) had male subjects evaluate essays written by female students. 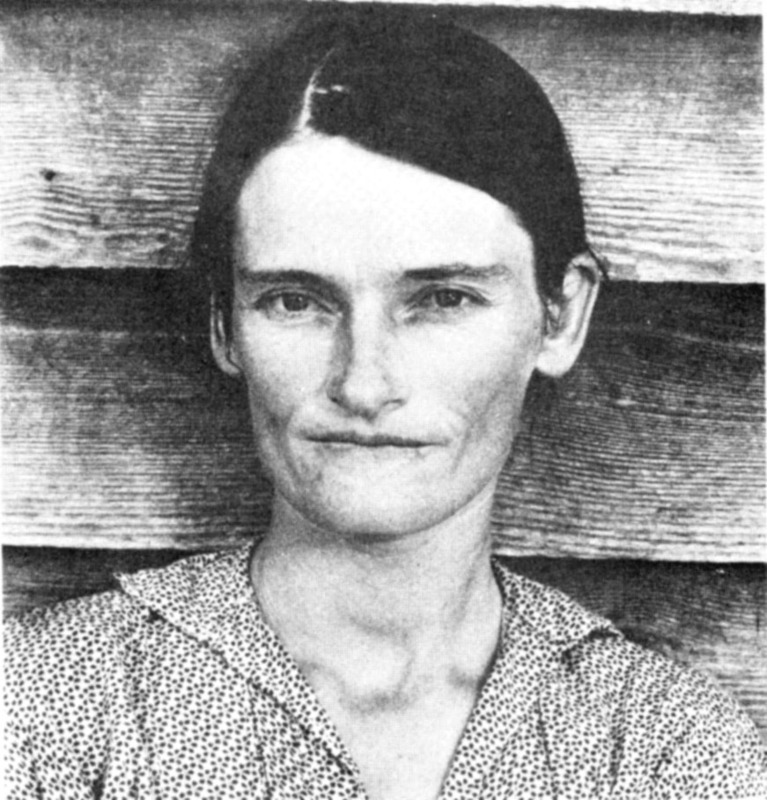 A photograph of the female student who supposedly wrote the essay was attached to each essay. In reality, photos were paired randomly with the essays. Some essays were well written, others had grammatical errors and rambling arguments. The male subjects rated the essays as better when the author of the essay was more attractive. This effect swamped the effect of grammatical errors and quality of argument. The judges largely ignored those relevant factors. How did attractiveness of a female writer affect the ratings of essays by males? In special cases, attractiveness can lead to a negative outcome. Sigall and Ostrove (1975) had subjects pretend to be jurors judging a case. When a beautiful defendant was accused of burglary she was sentenced to less jail time than a non-beautiful defendant. However, if the defendant was accused of swindling, a more beautiful defendant was judged more harshly. How can attractiveness lead to negative assumptions? In this case, the beauty of the defendant played into the stereotype of a person who might try to cheat somebody out of money using her beauty. In other words, beauty can be part of a negative stereo­type. A beautiful person is sometimes assumed to be cold, aloof, uninterested in ordinary people, self-centered and conceited, even if it is not true. What if it turns out first impressions or stereotypes are wrong? Can first impres­sions be "undone" based on later infor­mation? Mann and Ferguson (2015) found the answer was, "Yes, but only if people think about it." Consider the case of a member of the Nazi party in the late 1930s who took over a formerly Jewish owned business to produce supplies for the German war effort, employing Jews as a cheap source of labor. Learning such details about this person would lead most people to detest him for enabling the Germans during the Holocaust. Mann and Ferguson were interested in whether implicit evaluations could be changed. These are quick, automatic effects produced either by instinct or by culture. They verified that labeling the man as a Nazi produced an immediate negative evaluation. Adding that this man "took over a formerly Jewish owned business to produce supplies for the German war effort" strengthened that initially negative evaluation. Evaluations were reversed, Mann and Ferguson found, when new infor­mation about Schindler caused a conscious re-inter­pretation of earlier information. The added information canceled out the negative evaluation. How did Mann and Ferguson reverse first impressions? This effect is reminiscent of the cogni­tive restructuring done in cognitive behavior therapy (CBT) to eliminate emotional responses such as anger and anxiety. To change emotions, therapists suggest ways a client can thoughtfully restructure the interpretation or appraisal of a situation. A similar phenomenon was discovered in research on the ELM (Elaboration Likelihood Model) discussed earlier in this chapter. In that model, the initial fast response to elements like puppies or celebrities in advertising was positive, as long as people did not think about it. If the person thought consciously about the arguments in the ad, the effects could be reversed. Finally, consider the use of counter-conditioning in the original version of desensitization therapy. Serious phobias (a powerful emotional response) were eliminated by replacing them with an incompatible response such as deep relaxation. How was the Mann and Ferguson finding reminiscent of several others? In all these cases, a relatively quick emotional response is counter-programmed by deliberately created, incompatible responses. This shows we are not doomed to continue first impres­sions and emotional reactions. We can change our reactions if we receive new information and think things through. Are there ways to influence impressions besides making oneself beautiful? One way to encourage other people to like you is to disclose some personal information about yourself. Politicians who feature their families in political advertising use this technique, called self-disclosure. A little bit of self-disclosure often helps to create a favorable impression. A lot of self-disclosure, however, can make other people feel uncomfortable. In a sense, self-disclosure invites intimacy or closeness. Like a pat on the shoulder by a friend, it can be a welcome sign of trust and friendship. However, if there is too much self-disclosure, it is like a stranger patting your shoulder and acting too familiar...an unwelcome amount of personal contact. Derlega (1984) described self-disclosure as a risky business. When we share personal information with someone, we risk indifference (if the other person does not care about it) or rejection (if the person reacts negatively) or betrayal (if the person uses the information against us). Therefore people high in paranoia should be lower in self-disclosure. What is self-disclosure? How much is ideal? How can it be risky? Nevertheless, most people use self-disclosure effectively. In moderation, it works to a person's advantage. It creates feelings of friendliness and sympathy. Self-disclosure is governed by an unspoken principle of reciprocity. The rule is that nobody discloses too much before the other person reciprocates (does the same thing). What principle of reciprocity seems to work well with self-disclosure? Davis (1978) found that if two people took turns disclosing small amounts of personal information, they grew more comfortable with each other and confided more as the exercise went on. The two matched their rate of disclosure. If one slowed down, the other did, too, but remained friendly. If one pushed too hard or dis­closed too much before the other re­sponded, the other person was likely to pull back, becoming less friendly. Rubin (1975) found that strangers in an airport reacted poorly to a student who disclosed too much, too soon, then pressured them for personal information. The strangers felt rushed and tended to pull back from the interaction. Even within marriages, a reciprocity principle seems to operate. In a study of "blue-collar marriges," Komarovsky (1962) reported that some couples disclosed a lot to each other, others not so much, and they seem to match each other's levels of disclosure. Davis, J. D. (1978) When boy meets girl. Journal of Personality and Social Psychology, 36, 684-692. Derlega, V. J. (1984) Self-Disclosure and Intimate Relationships. In V. Derlega (Ed), Communication, Intimacy and Close relationships, 0rlando: Academic Press. Invited Addresses. (1994, January) APS Observer, p.7. Kahneman, D. (2011) Thinking: fast and slow. New York: Farrar, Straus & Giroux. Komarovsky, M. (1962) Blue-collar Marriage. New York: Vintage. LeDoux, J. (1996) The Emotional Brain. New York: Simon and Schuster. Lippman, W. (1922) Public Opinion. New York: Free Press. Sigall, H. & Ostrove, N. (1975) Beautiful but dangerous: Effects of offender attractiveness and nature of the crime on juridic judgment. Journal of Personality and Social Psychology, 31, 410-414. Uleman, J. S. & Bargh, J. A. (1989) Unintended thought. New York: Guilford Press. Watson, D. L., deBortali-Tregerthan, G., & Frank, J. (1984) Social Psychology Glenview: Scott Foresman. Winkielman, P. (2010) Bob Zajonc and the unconscious emotion. Emotion Review, 2, 353-362. Winston, J., Strange, B., O'Doherty, J., & Dolan, R. (2002). Automatic and intentional brain responses during evaluation of trustworthiness of faces. Nature Neuroscience, 5, 277-283.